but I am reminded of the first woman in my life that is none other than my own mother. mentioned in the Bible “A Virtuous Woman”. BALANCE SHEET Of LIFE- A Thought For The Day! Hi Hi Hi Thank you so much Sandie, I will pass on this to my B/H. Have a wonderful Day. I’ll go hug my wife then! 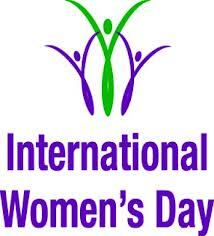 Thanks in the name of women’s day.